The Philadelphia Eagles have signed Tim Tebow to back up Sam Bradford, joining Mark Sanchez and Matt Barkley in that very crowded quarterback corps.Tebow will step away from his successful broadcasting career to take one more stab at sticking in the NFL. He has worked diligently with throwing coach Tom House to learn how to actually throw pro-caliber passes. Apparently he has cleaned up his mechanics quite a bit. He is much better throwing downfield than, say, Jon Lester is at throwing over to first base. Once again Eagles coach Chip Kelly left experts shaking their heads. Maybe he really is an offensive genius. Or maybe he is just nuts. The man made a big play to get Bradford, sending Nick Foles to St. Louis. He still had Sanchez and Barkley. And now Tebow will come in and hog the limelight. The Twitterverse exploded with this news. Everybody had an opinion about this marriage. TEBOW ALERT! TEBOW ALERT! TEBOW ALERT! TEBOW ALERT! TEBOW ALERT! THIS IS NOT A DRILL! TEBOW ALERT! TEBOW ALERT! TEBOW ALERT! There has never been a human being with more lives than Tim Tebow. Cats look at Tim Tebow and go... dayum. I love the whole Idea that Tebow worked with a QB coach, so now he's fixed. You can't fix the lack of being able to read a field. Is Tebow another example of why so few head coaches have total control of personnel? Chip Kelly showing humanitarian side, signs Tebow to make Philly fans forget about Phillies. Tim Tebow signed by Philadelphia, will play left field and bat cleanup on Monday. 1) Who has more quarterbacks, the Eagles or Ohio State? 2) Which group would you rather have? No Shady. No D-Jax. No Foles. No Maclin. Noooooo problem. I can't speak to the NFL. 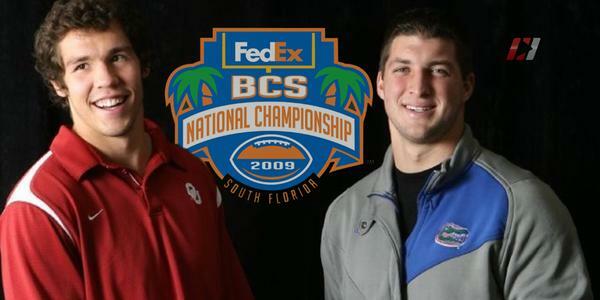 All I know is Tim Tebow running Chip Kelly's offense in college would have been ridiculously fun. Chip clearly brought Tebow in to play the newly invented position of Smorfback. The good news for Chip Kelly is that *no fan base* has either the patience or the sense of humor possessed by the Eagles faithful in Philly. After signing Tebow, Chip Kelly has officially turned Eagles into a bargain bin you find at the back of a Wal Mart filled with QBs. Mark Sanchez and Tim Tebow seem destined to share a retirement home one day. Tebow to Philly? Chip really is trying to prove any qb will work in his system, even a fullback. Chip Kelly is doing a great job with the 2008 Heisman. Now has winner (Bradford) & third place (Tebow). Colt McCoy next? Matt Barkley has to be thrilled. Next to Tebow he will look like a star. In his three seasons in the NFL, Tim Tebow has made just north of $11 million. Let's stop with this, "Tim-Tebow-in-Philly-is-a-media circus" idea. The whole league is a media circus. I find it amusing that Tebow works for ESPN yet Jay Glazer broke the news of him going to the Eagles.